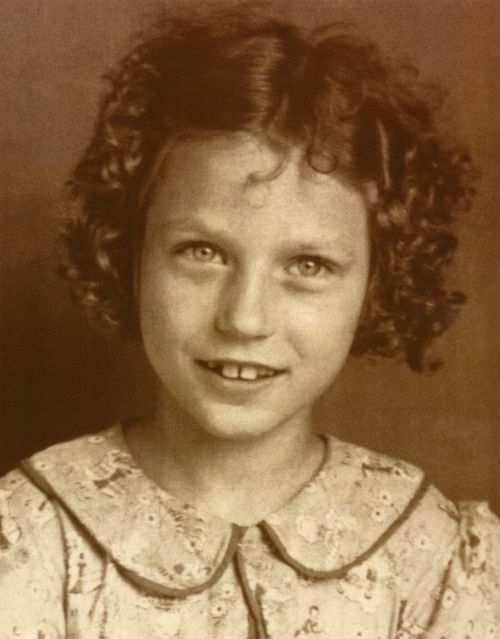 Loretta Lynn as a child. 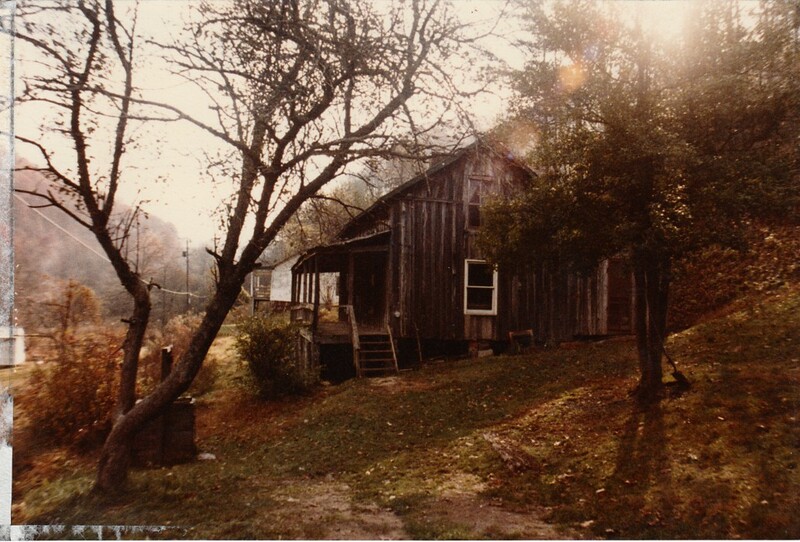 © Loretta Lynn Enterprises Inc.
Loretta Lynn's Childhood Home in Butcher Holler, Kentucky. 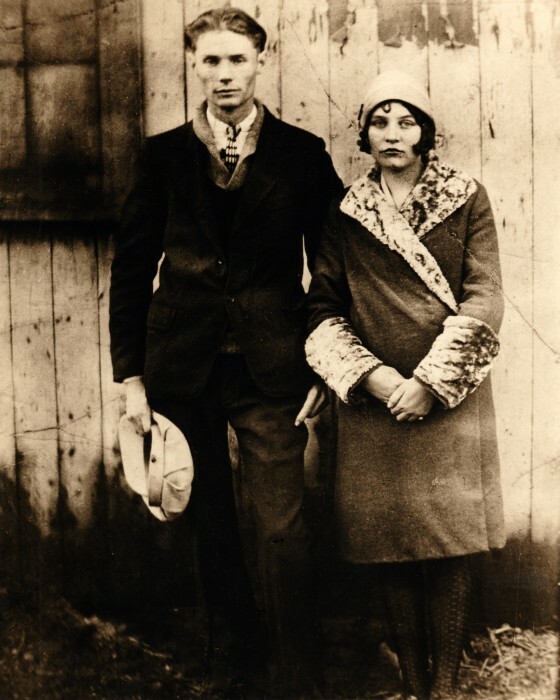 Loretta Lynn's parents: Tedd and Clara Marie Webb. Doo and Loretta Lynn on their wedding day. 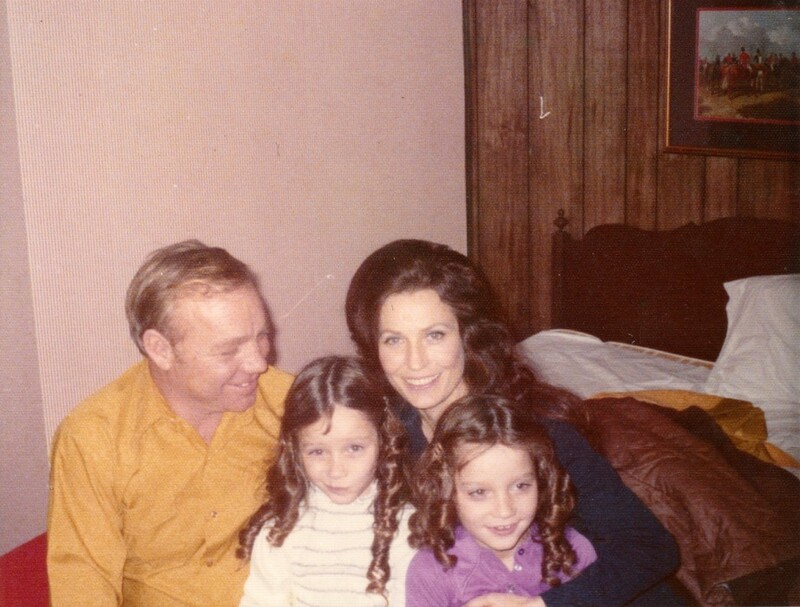 Doo and Loretta Lynn with twins Patsy and Peggy. 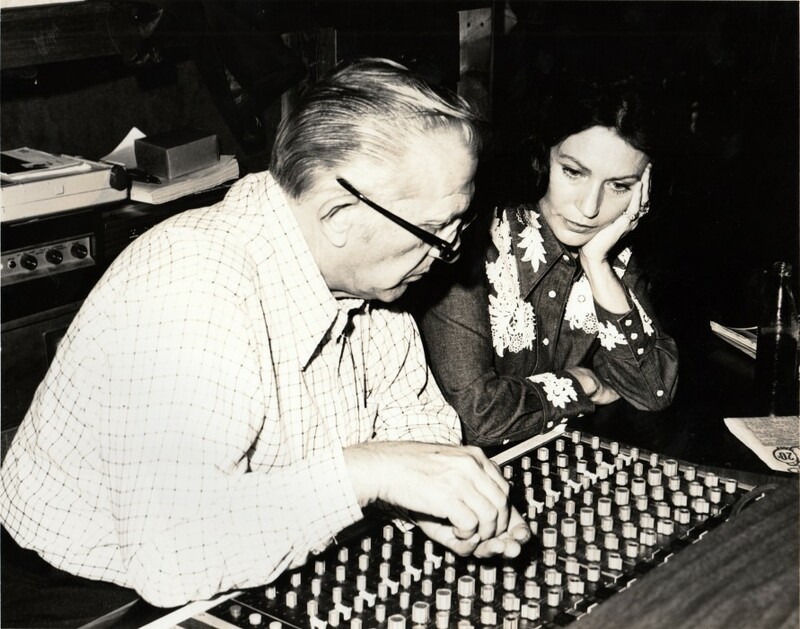 Loretta Lynn in the studio at the sound board with Owen Bradley. 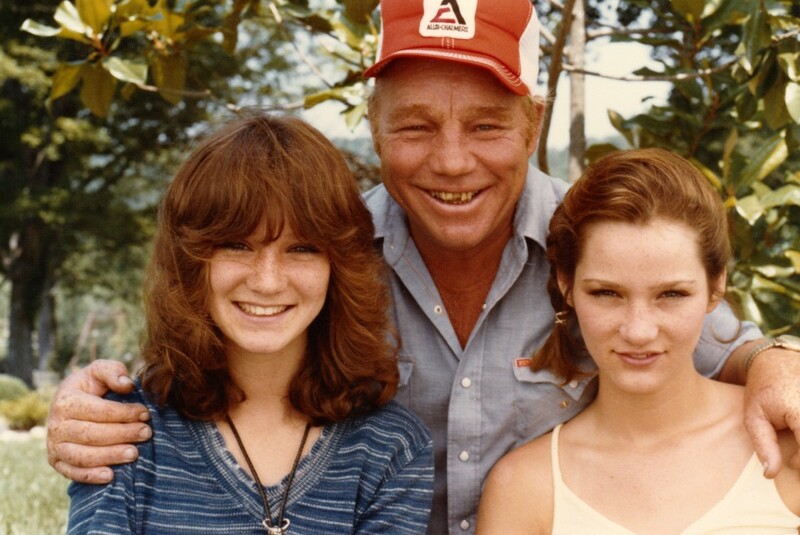 Doo Lynn with twin daughters Patsy and Peggy as teens. Loretta Lynn with son Ernest Ray. 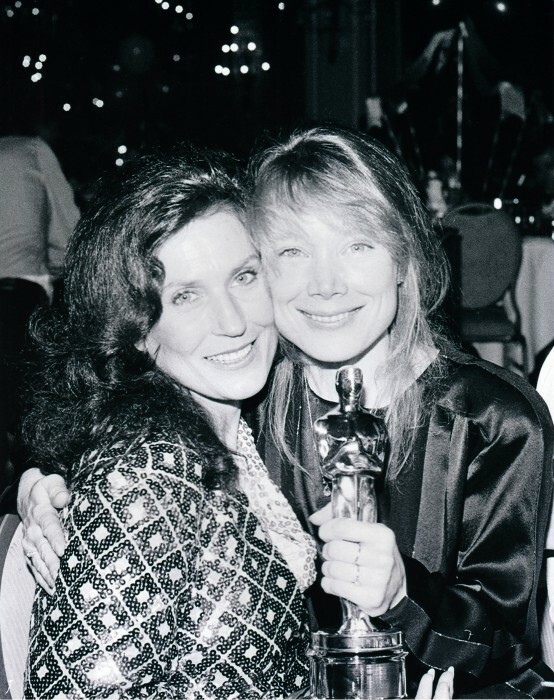 Loretta Lynn & Sissy Spacek who is holding the Oscar she won playing Loretta Lynn. 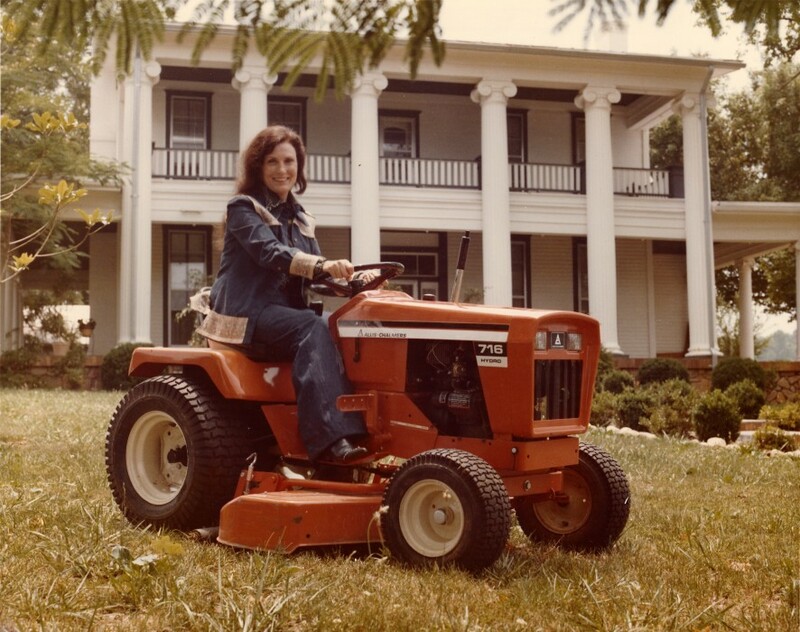 Loretta Lynn on a tractor at her home in Hurricane Mills, Tennessee. 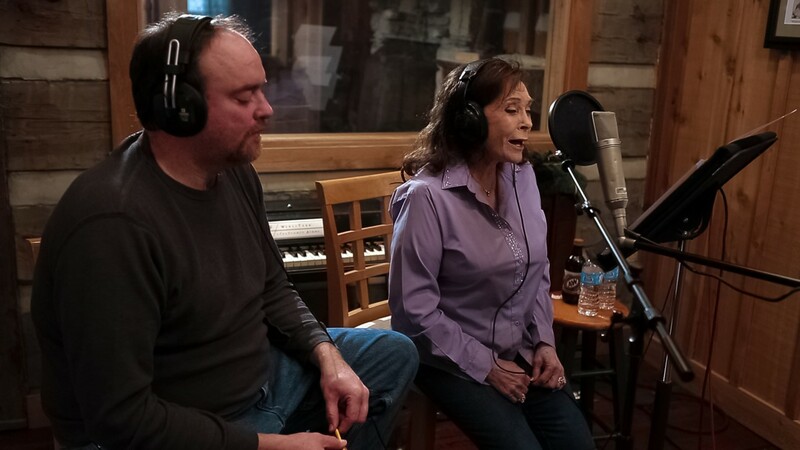 Loretta Lynn and "Full Circle" producer John Carter Cash record at the Cash Cabin Studio (Hendersonville, Tennessee). 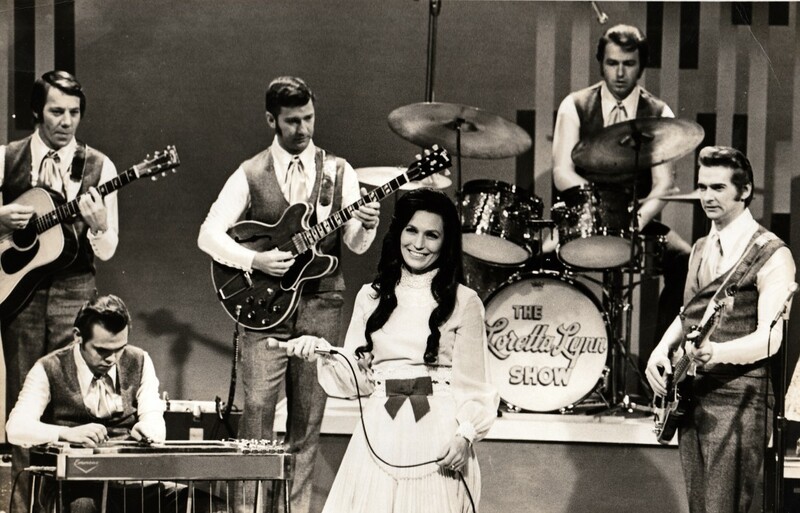 Loretta Lynn (center) performs with her sisters Peggy Sue Wright (left) and Crystal Gayle (right). 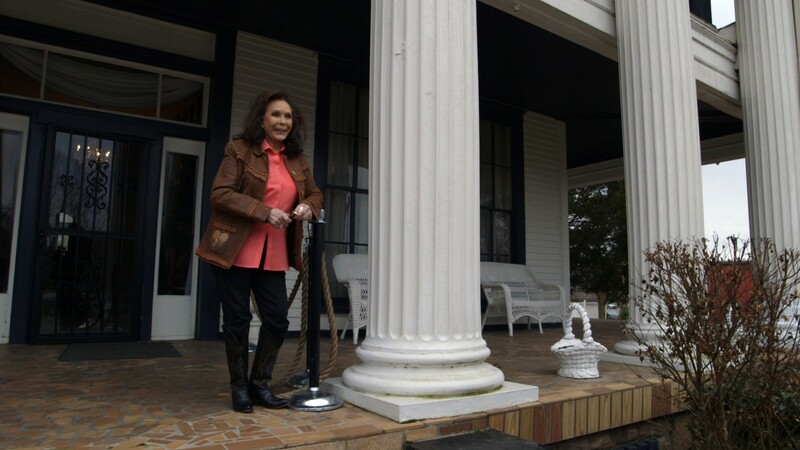 Loretta Lynn at her home in Hurricane Mills, Tennessee. Loretta is the second of eight children born to father Tedd Webb and mother Clara Marie. They raise their family in Butcher Hollow, Kentucky. 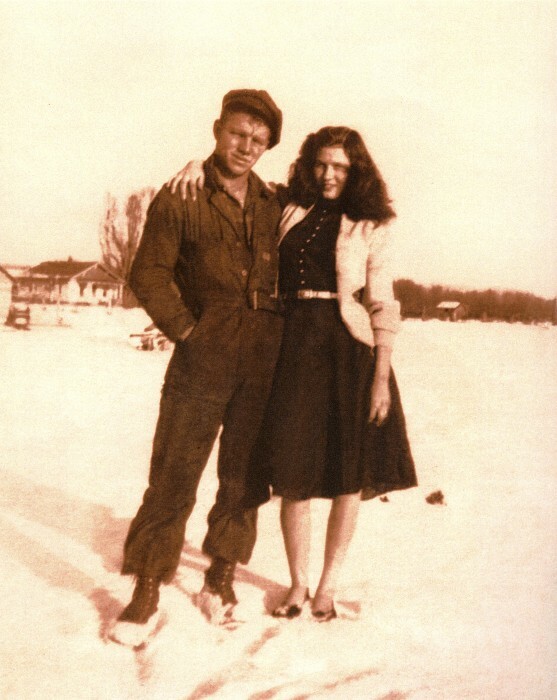 At the age of 15, Loretta marries Oliver Lynn (1926–1996), who also goes by nicknames “Doo,” “Doolittle” and “Mooney”. Doo leaves Loretta temporarily when she becomes pregnant. After reconciling, the couple moves to the state of Washington. Their daughter Betty Sue is born. Son Jack Benny is born to Loretta and Doo. Son Ernest Ray is born to Loretta and Doo. Daughter Clara Marie (Cissy) is born to Loretta and Doo. Loretta begins performing and writing songs. Her father, Ted, dies. 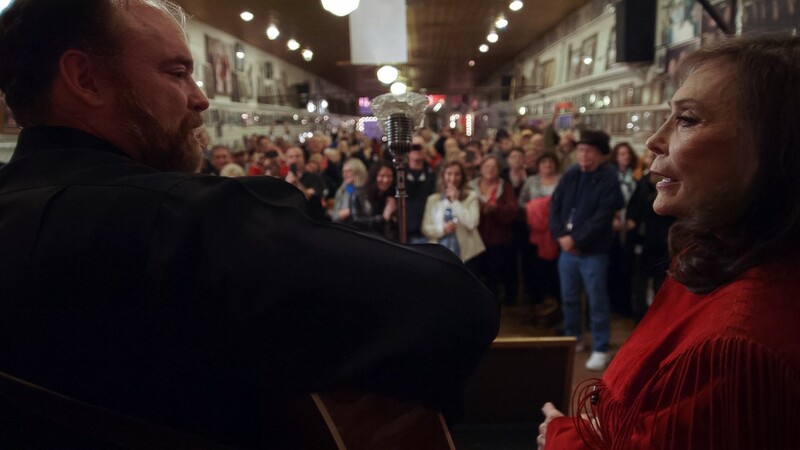 Loretta appears on the Buck Owens show in Tacoma, WA. Forms her own band called Loretta’s Trail Blazers, playing at Bill’s Tavern six nights every week. Records “Honky Tonk Girl” (B side: “Whispering Sea”) on Zero Records. It enters the Billboard Hot Country Singles charts at number 28 and eventually reaches number 14. Appears on the Grand Ole Opry on October 15. Begins working with the Wilburn Brothers. Signs with the label Decca Records; works with producer Owen Bradley. Dedicates a song to Patsy Cline on Ernest Tubb’s Midnite Jamboree, after Cline’s car accident. Loretta becomes a member of the Grand Ole Opry and begins to tour. She releases her first Decca single, “Success”. Lynn’s first album, Loretta Lynn Sings, reaches number two on the Billboard Country charts. Partners with Ernest Tubb for several recordings and live performances; theirs are among the first of a string of country music partnerships through the 1960s and 1970s. Twins Patsy and Peggy are born to Loretta and Doo. Releases “Don’t Come Home A-Drinkin’ (With Lovin’ On Your Mind)” (#1); “You Ain’t Woman Enough (to Take My Man)” (#2). “Dear Uncle Sam” reaches the Top Ten, the first of her own compositions to do so. Loretta and Doo buy Hurricane Mills and move the family in. When the children have grown, the Lynns turn the ranch into a tourist attraction around their plantation home that includes museums, a recording studio, concert venue, and western store. Loretta wins CMA award for Female Vocalist of the Year. Releases “Fist City” (Number 1), a song Lynn wrote about another woman who was interested in Lynn’s husband. Loretta breaks partnership with the Wilburns and forms her own publishing company. Organizes a benefit for coal miners’ families after an explosion at Hyden mine. 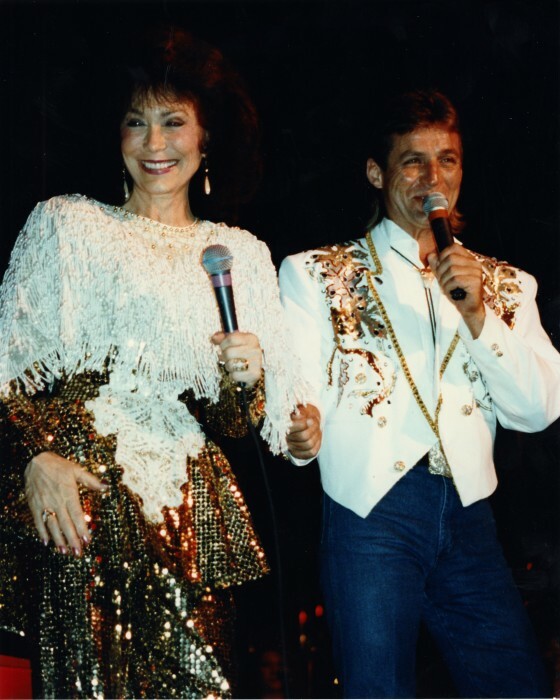 Loretta partners with singer-songwriter Conway Twitty (1933 – 1993) for several recordings and live performances; the due produces 11 albums, five number 1 songs, and the partnership lasts until 1988. Loretta wins big at the Country Music Association Awards. She is the first woman to be awarded Entertainer of the Year by the CMA, and also wins Female Vocalist of the Year, and Vocal Duo of the Year with Conway Twitty. The duo of Lynn and Twitty will go on to win the award every year through 1975. Lynn and Twitty win the Grammy for Best Country Vocal Performance by a Duo/Group. June 18: Appears on the cover of Newsweek. Wins CMA’s Female Vocalist of the Year. Releases “The Pill,” and “When the Tingle Becomes a Chill.” “The Pill,” about birth control, is banned by 60 radio stations across the U.S., leading it to become an underground hit, selling up to 15,000 copies per week. Loretta wins CMA’s Female Vocalist of the Year. 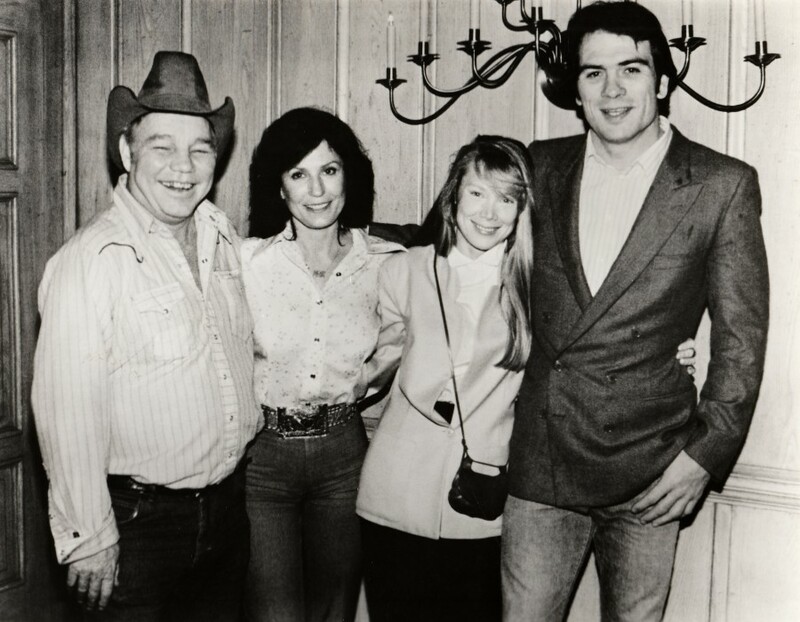 With Conway Twitty, wins The American Music Award for Favorite Country Band/Duo Group, which they also win in 1977 and 1978. Loretta’s Coal Miner’s Daughter autobiography is released. Releases I Remember Patsy, an album dedicated to Patsy Cline. Coal Miner’s Daughter film is released, starring Sissy Spacek as Loretta Lynn; Tommy Lee Jones as “Doo” Lynn, Loretta’s husband. Loretta’s mother, Clara Marie, dies. Releases “I Lie,” one of her main hits from the decade. Son Jack Benny dies in a drowning accident. Loretta is inducted into the Country Music Hall of Fame. Loretta performs at President George Bush’s inauguration with her daughter Cissy and sisters Crystal Gayle and Peggy Sue. Releases Honky Tonk Angels with Dolly Parton and Tammy Wynette. 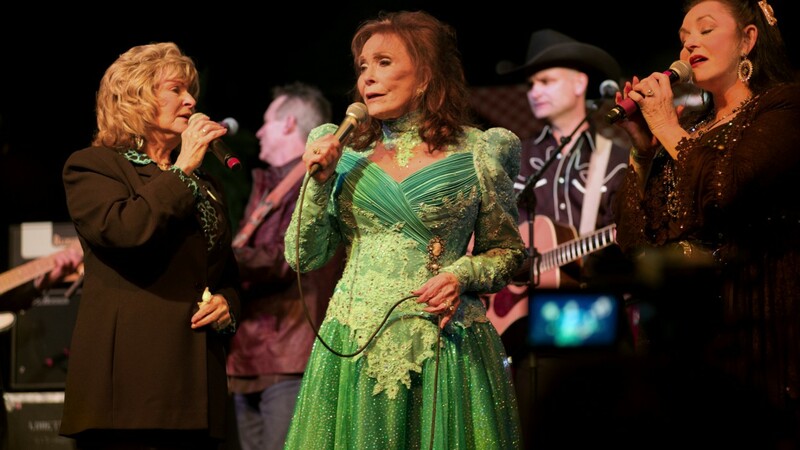 Host television series Loretta Lynn and Friends, which features country music stars. Husband Doo dies from diabetes-related complications. Writes second autobiography, Still Woman Enough. Awarded the Kennedy Center Honors. Releases Van Lear Rose with Jack White. It reaches number two on the Billboard charts. Van Lear Rose wins Grammys for Best Country Album and Best Country Collaboration. Tribute album, Coal Miner’s Daughter: A Tribute to Loretta Lynn is released, featuring Sheryl Crow, Miranda Lambert, Carrie Underwood, and others. CMA recognizes Loretta Lynn for 50 years in country music. Loretta reaches 59 entries on the Billboard Country Album chart and performs as part of the Lilith Fair line-up. Releases book, Honky Tonk Girl: My Life in Lyrics. Daughter Betty Sue dies from emphysema. Signs a multi-album deal with Legacy Recordings (Sony Music); includes country standards, gospel, Appalachian folk songs, re-recordings of Lynn’s classics, and new material (over 90 songs). Full Circle — Lynn’s first new studio album in over ten years, and American Masters – Loretta Lynn: Still a Mountain Girl both premiere on March 4.